Records temperature from +40°C to as low as -80°C. 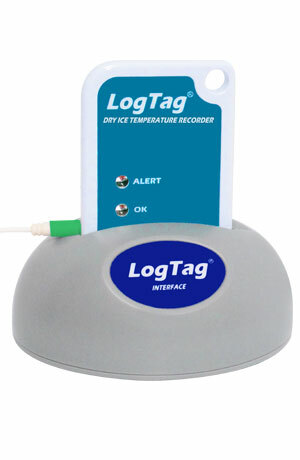 Versatile, wide range, multi-trip temperature logger. 8000 readings memory capacity with up to 3 years battery life. ‘OK’ & ‘ALERT’ Indicator with high and low customizable alarms. 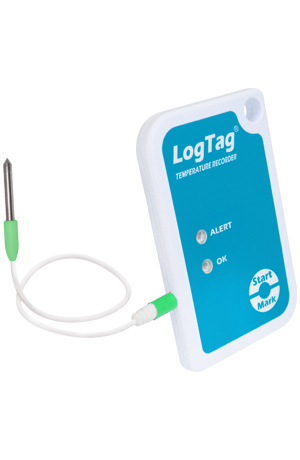 The TREL-8 Low Temperature Remote Probe Logger measures and stores up to 8000 temperature readings over -80°C to +40°C (-112°F to +104°F) measurement range from associated interchangeable LogTag® ST10 type remote probe temperature sensor (available in lengths up to 3 meters (9’10”). 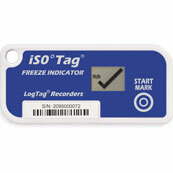 It is intended for use in monitoring of articles stored at low temperatures such as in dry ice type environments. 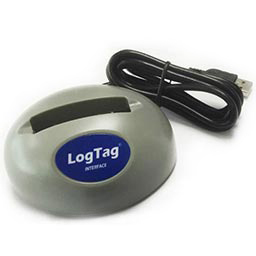 Using the LogTag® Interface Cradle and LogTag’s freely available companion software LogTag® Analyzer. TREL-8 is easily configured for recording conditions including delayed start, sampling interval, number of readings and configuration of conditions to activate the ALERT indicator. 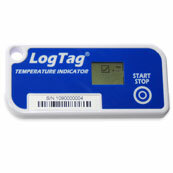 Readings are downloaded using LogTag® Analyzer which provides facilities for charting, zooming, listing data statistics and allows exporting the data to other applications such as Excel. The Red Alert indicator provides an immediate indication, without access to a PC, if any readings are outside the limits specified at the time the unit was configured. Green OK indicator provides immediate visual confirmation, without access to a PC, that the unit is operating. 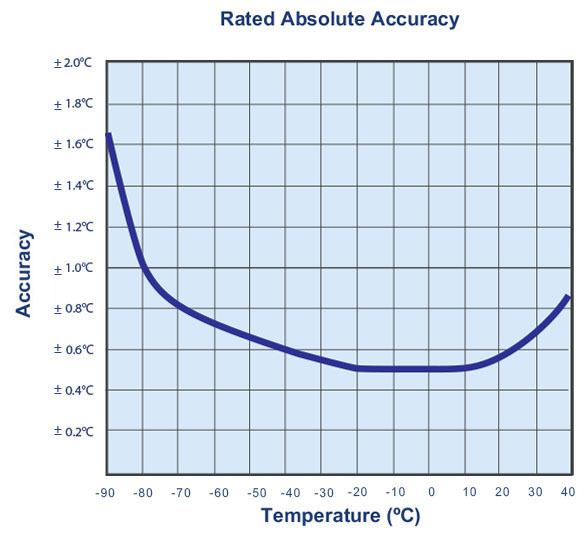 Sensor Measurement Range -80°C to +40°C (-112°F to +104°F). 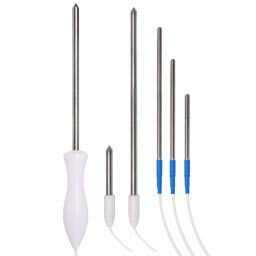 Operating Temperature Range -20°C to +40°C (-4°F to +104°F). 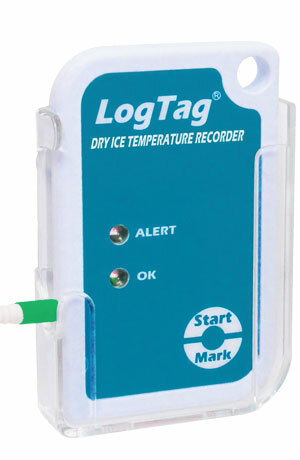 Rated Temperature Reading Accuracy With the logger case sitting in an environmental temperature between 0°C and 50°C: Better than ±1°C for -30°C to +20°C. Better than ±1.2°C for -45°C to -30°C and +20°C to +40°C. Better than ±1.7°C for -80°C to -45°C. 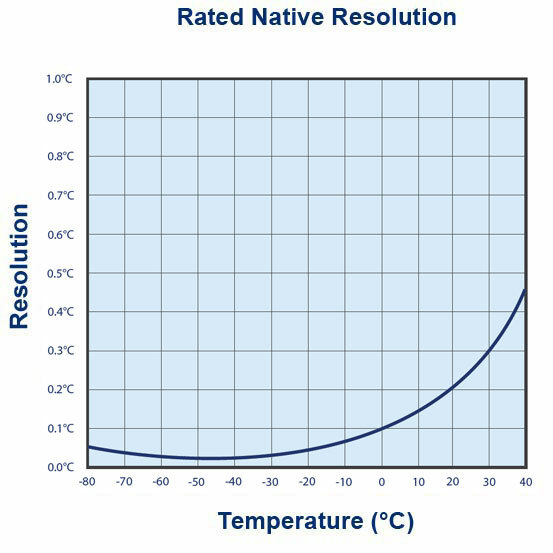 Rated Temperature Reading Resolution Less than 0.1°C for -80°C to 0°C. Less than 0.2°C for 0°C to +20°C. Less than 0.5°C for +20°C to +40°C. Sensor Reaction Time Typically less than 2 minutes (T90) in moving air (1m/s) for ST10S type. Recording Capacity 8032 temperature readings. 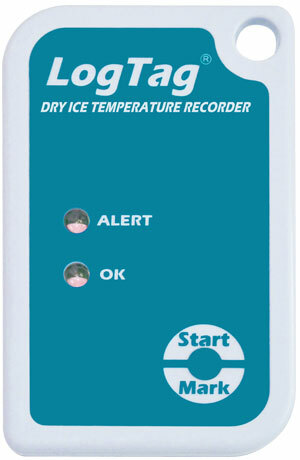 53 days @ 10min logging, 80 days @ 15min logging. Sampling Interval Configurable from 1 minute to several hours. Download Time Typically less than 5 seconds for full memory (8000 readings), depending on computer or readout device used. 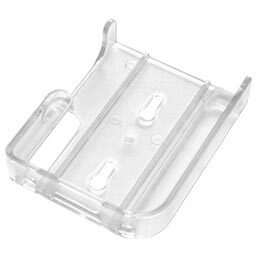 Power Source 3V LiMg battery. Battery Life 2 to 3 years of normal use (based on 15 minute logging, download data monthly.